Impurities in materials are responsible for the colours of gemstones or the performance of modern semiconductors. The same applies to quantum systems, although research has been limited. 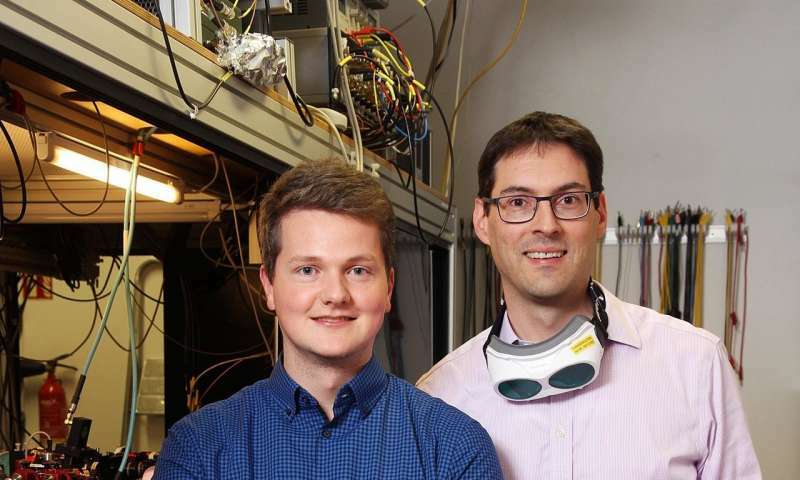 For the first time, Kaiserslautern researchers were able to implant individual impurities formed by caesium atoms into an ultracold quantum gas of rubidium atoms in a controlled manner. They observed how the impurities exchange quantum mechanical angular momentum (spin) with the gas. They also demonstrated for the first time that caesium atoms can store quantum information. The study was published in the renowned journal Physical Review Letters. Individual atomic impurities are responsible for various effects in quantum physics and are therefore interesting for experiments. 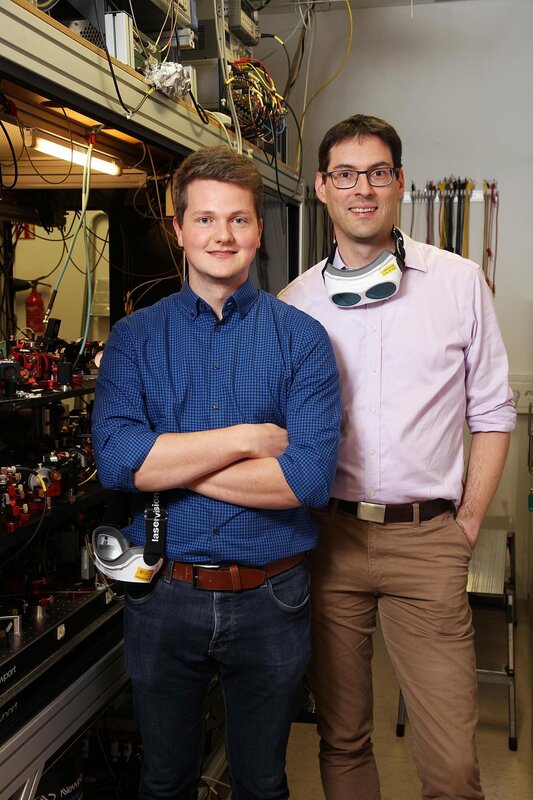 At the TUK, physicists led by Professor Dr. Artur Widera and his doctoral student Felix Schmidt have now observed for the first time how such impurities behave in a Bose-Einstein condensate of rubidium atoms. "In physics, this refers to a state of matter that is comparable with liquid and gaseous states. However, such a condensate is a perfect quantum mechanical state that behaves like a wave," says Professor Widera, who heads the Individual Quantum Systems group. For physicists, Bose-Einstein condensates are a popular model for investigating quantum effects. In their current study, the Kaiserslautern physicists have investigated such a contamination in a quantum gas. They cooled it down to temperatures close to the absolute zero point of -273.15° Celsius. "In this way, we can control a quantum mechanical system," says first author Felix Schmidt. Five to ten caesium atoms were immersed in the Bose-Einstein condensate of around 10,000 rubidium atoms. "The system can be examined under a microscope. The ultracold gas has a size of ten micrometres," continues the doctoral student. The researchers have thus localized individual impurities and observed the change in their electronic structure, the so-called spin, through interaction with the quantum gas. "So far, it has not been possible to observe individual atoms in such a gas. We are pleased that we succeeded in the experiment," says Schmidt. The researchers have also investigated whether caesium atoms can be used as information carriers and simultaneously cooled in quantum gas. "For atoms to store information, their electronic state must be preserved," explains Widera. "However, since the condensate interacts with the other atoms, there is a risk that they may lose sensitive information as a result of impact." The researchers have now succeeded for the first time in cooling the impurity atoms in the quantum gas without losing quantum information. "The model of individual impurities in an ultracold gas realizes a paradigm of quantum physics," says Professor Widera. "It can serve as a starting point for a variety of other quantum experiments." In particular, the findings of the Kaiserslautern scientists help to better understand what is happening at the quantum level. This could play a role in the future, for example, in understanding superconductors and developing new materials. They could transport electricity over long distances without great energy loss at normal ambient temperatures. So far, this has only been possible at temperatures well below freezing point."